Feel like you’re swimming in questions about searching for the right college? You’re not alone! 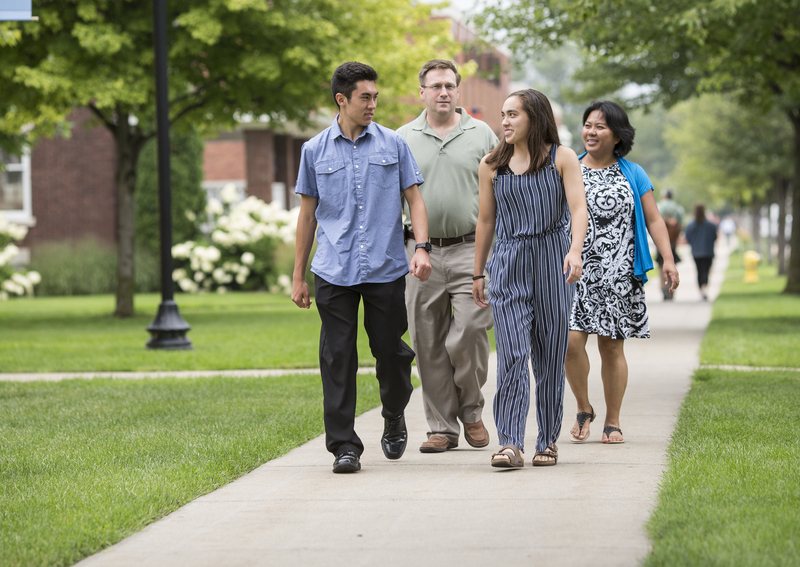 In this series, “Once in Your Shoes,” four Hope families share their wisdom about the college search process as they were once in your shoes. We’ve asked these families some admissions-related questions, with the goal of letting their experiences help you. Christopher and Panechanh Carpenter, from St. Louis, Missouri, reflect upon their family’s Hope admissions process. The Carpenters’ son, Cameron, is a member of Hope’s Class of 2022. As college decision letters began arriving in the mail, what went through your minds? Did Cameron get into Hope College? Did we choose wisely with our selection of colleges to explore based on Cameron’s academic and career interests? Did Cameron spend enough time exploring Hope College, Holland and West Michigan? If Cameron selects Hope College, how will he cope with being eight hours away from home for the first time in his life without his parents and sister? As Hope alums, we had frequently shared memories of Hope College since Cameron was a small child. He had spent time touring the campus and listening to our stories many times as a teenager. While waiting for decision letters to arrive, we reminisced about our own college years, uncertainties, experiences, and lifelong friendships. We also reviewed the rationale for ranking Hope College Cameron’s #1 choice. What was the criteria you were using to help in the decision process? Cameron had toured schools in Indiana and Missouri (our home state for the last 15+ years), some of which were larger and some that were more expensive. Cameron wanted to compete in college athletics as had his father. He was also comfortable in West Michigan with all of his grandparents and cousins within a 30-minute drive. However, the most important qualities that distinguished Hope from other colleges and universities were the engagement of the professors and coaches and the camaraderie Cameron noted during the Fly-In Weekend. The student body made him feel comfortable, while the professors he met generated excitement at the academic opportunities ahead. What role did Hope’s faith dimension play in the decision process? We were comfortable allowing Cameron to explore his spiritual growth in the open-minded atmosphere of Hope College. Cameron and sister Kayla led a walk around campus. How many times had you visited campus before the final decision to attend Hope was made? Cameron had been on Hope’s campus several times during summer vacations on Lake Michigan growing up. Since Holland is an eight-hour drive from St. Louis, he didn’t have the opportunity to visit Hope during the high school year because he was committed to cross country, basketball, and track. However, he did fly to West Michigan for the Fly-In Weekend in the fall of his senior year. The opportunity to live in the dorm for a couple of days, attend classes, and encounter actual students who were studious, sufficiently challenged by their academic workload and content seemed to seal the deal for Cameron. After that weekend, he never spoke of any other colleges and has never looked back. How did size of our institution influence the decision to attend Hope? 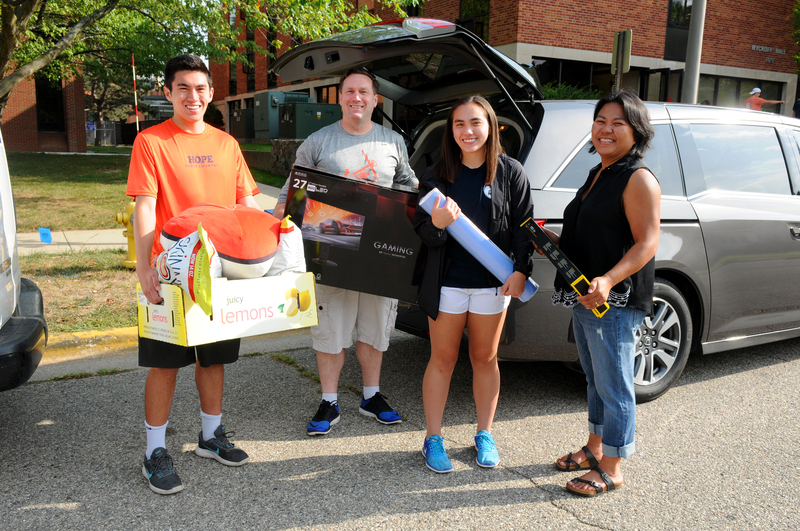 The size of the student body, dorms and classrooms significantly contributed to Cameron’s level of comfort with Hope College. He went to a large urban high school but seemed to know almost everyone in his graduating class. His state champion high school cross country team remains extremely close knit, and he wanted to repeat that team experience with his college career. Hope’s Cross Country program was fantastic at explaining the world of Division III sports for the scholar-athlete, especially Coach Northuis. What concerns did you have or can you share about paying for college? Chris: Every semester of my four years at Hope College in the 1980s, my parents reminded me of how expensive the school was relative to state schools and how I probably wouldn’t be able to return the following semester. I had one or more jobs every semester at Hope College and was only able to afford the meal plan my freshman year. We have worked very hard for the last 30 years to ensure that our children would never feel those stressors or uncertainty about their college education — and fortunately, they have not. 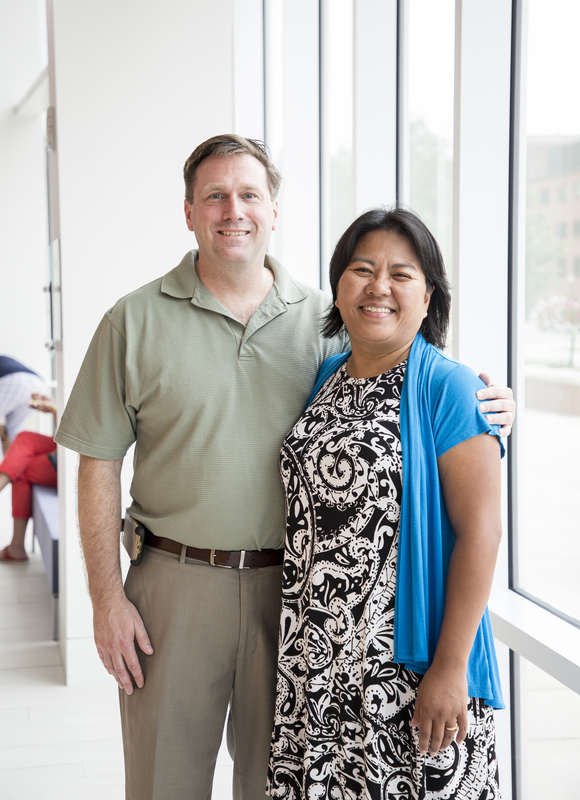 Panechanh: I also worked one or more jobs throughout my four years at Hope College. Since elementary school, our children have been taught that their most important job is to be stewards of their education by participating in class, completing homework, and preparing for every exam (including ACT/SAT) to the best of their ability. They have had jobs to learn the value of earning money, but never as a necessity for affording their education. We appreciate Hope’s attention to the cost of a college education. Any other thoughts or stories you would like to share? [Admissions representative] Nate Haveman played an indispensable role in maintaining Cameron’s interest in Hope College. From visiting our home to having dinner with Cameron to sending intermittent notes telling Cameron about “The Pull” or other Hope events and checking in by email to see how senior year was progressing, no other college matched this level of engagement or sincerity. Whereas other colleges made Cameron feel as if they were capable of providing a four-year college education, Nate’s approach combined with Hope’s professors and Coach Northuis made Cameron feel as if he was coming home.